I have been a Simplenote user for the longest time. I had briefly moved to a couple of alternate apps to try them out, but Simplenote’s best feature is what kept bringing me back to it every single time — its simplicity. Simplenote has always kept the focus on content — your content. With a bare minimum chrome in its apps, Simplenote has stayed away from flashy gradients, big UI elements and detailed icons and instead, has offered a minimal, mostly white user interface to its users. I liked everything about Simplenote, so paying for its Premium subscription and supporting the service was a no brainer for me. Earlier this year, Simperium (Simplenote’s parent company) announced that it had been acquired by Automattic, the fine folks who created WordPress.com and other great products. I’ll admit, at first I was very skeptical when this news broke. Recent history has shown us that whenever a small team is acquired, it’s almost always for the talent and that the product is then shutdown or simply enters a state of Limbo. So I was very skeptical. Additionally, the company and product blog had been awfully quiet ever since the acquisition. That said, I was still hoping for something big to be announced by the team, now that they had all the resources from Automattic as well. I was doubly excited when Apple unveiled iOS 7. This new design direction of the OS would work fantastic in Simplenote’s case and I was looking forward to what the company could possibly do with this. This week, the company has announced a major update to its iOS app and also released official apps for Mac and Android. Simplenote for iOS v4.0 has undergone the iOS 7 redesign treatment. This version makes Simplenote feel right at home on iOS 7. The UI is flat and looks great. The UI dynamics of iOS 7 make the whole experience insanely good and enjoyable. Moving from iOS 6, Simplenote sheds the unnecessary blue UI chrome. The new UI is almost all white, with blue button elements or dark grey text. This feels like a perfect, no-BS notes app for me. You can add a new note by tapping the little “+” icon at the top right and start typing. A special row just above the keyboard lets you add tags to this note on the fly. On this screen, two buttons placed at the top right allow you to either dismiss the keyboard or the “i” button lets you perform actions on this particular note. Options include the ability to publish the note on the web, where you are given a unique URL that you can share with anyone, the ability to “pin [note] to top” which keeps the note first in the order, the ability to view the history of changes and the ability to add collaborators to this note. These options appear on a sheet that is styles very much like the share sheet on iOS 7. Once you dismiss the keyboard, the button changes to a “+” sign allowing you to quickly create new note without going back to the main screen. On the main screen, you have a always visible search bar at the top, letting you instantly search through your notes’ library. On the top left is the “<” button that invokes a “basement” menu that lets you filter notes by the tags you have added to them, Edit existing tags or view the Trash. You can also access the Settings screen from here, which include the ability to enable a Passcode lock and view a condensed note list (titles only). Overall, Simplenote v4.0 is a phenomenal update to an already great notes app. The update is available Free on the App Store for iPhone as well as iPad. On Sunday, the company released Simplenote for Android. With this release, Simplenote was now also officially available on the world’s most popular smartphone platform, along with iOS & the web, and also brought everything that users love about Simplenote, to Android. Simplenote for Android retains its familiarly simple, minimal interface and looks absolutely gorgeous. Compared to the iOS versions, it does lack advanced functionality but is still a pretty great client to save your notes and bits of text in. You can add a friend’s email as a tag to a note, instantly sharing that note with him. However, in our testing, this feature seemed extremely buggy as the note was duplicated 56 times before we removed the tag and even after the note was deleted, the friend kept receiving the note. That said, the other features of Simplenote are pretty solid and you can grab Simplenote for Free from Google Play. 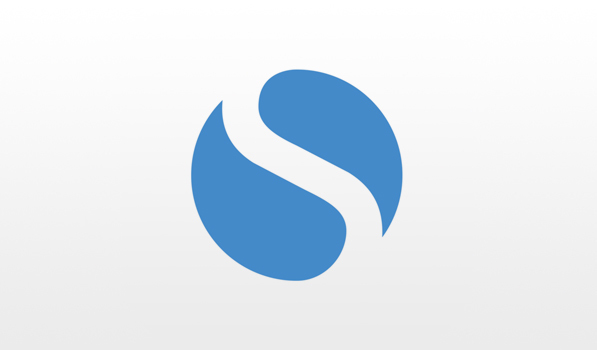 Along with the release of version 4.0 of their iOS app, Simplenote also released the official Mac app yesterday. Until now, the only way to access your notes was to either use the official Web client in the browser or use apps like Notational Velocity or nvAlt. Simplenote for Mac is very similar to the iOS version in terms of how it looks. It’s flat, mostly white with minimal UI chrome and looks absolutely great. Unlike the iPhone or iPad version, however, you get a two pane listing for your notes with the list of notes on the left and the content of the notes on the right. The search bar is present at the bottom of the list of notes while your Tags & Trash and hidden in a slideout menu on the left. Actions like Publish to the Web, Add Collaborators etc. are present at the top right by clicking on the “…” icon. Simplenote for Mac is a free app and available on the Mac App Store. Simplenote now offers a complete suite of app — iOS, Mac, Android & on the web. Not only is this a truly fantastic service, but it is also accessible to most users who’re looking for a Free service to store their notes on. Simplenote has also been working on a completely redesigned user interface on the web, which will be rolled out to users in the coming days.